This experience is a must for any family of Arsenal Football Club fans. 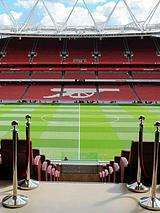 The Emirates Stadium Tour lets two adults and up to two children see behind the scenes of the stunning grounds. On this a self-guided tour you will receive headphones and headsets for audio and video footage of your favourite Arsenal stars. Walk around at your leisure as some of the world’s best players fill you in on the history of the team and venue. This spectacular sports stadium has been home to Arsenal Football Club since 2006, and has been appropriately decorated with red and white everywhere you look. Your self-guided tour will give you the opportunity to see all the areas that the public never get to access. As you explore behind-the-scenes of Emirates Stadium you'll get a real sense of what the Arsenal stars feel like on match days. Santi Carzorla, Jack Wilshere and many more stars share with you their game day experiences. Take your place in the changing room and listen to the roar of the crowd as you walk down the tunnel. Take your time to explore the museum and test your Arsenal knowledge. Don’t forget your camera, so you can have lasting memories of an experience any true Arsenal fan would dream of. 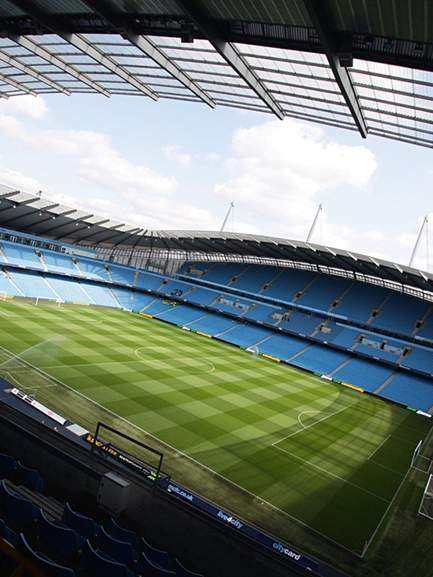 Come and experience a behind the scene stadium tour at one of the biggest football teams in Europe. Please allow approximately 1 hour 30 minutes for the tour (please arrive 15 minutes prior to the tour start time). The tour is fully accessible for disabled visitors, with lifts to all the areas on the tour. If you require any special arrangements, please discuss this with the supplier at the time of booking. remember to use the echo chamber. ( aka the trophy room). And the whispering gallery, (aka the whole stadium). Avoid Thursdays, as this is often match day. They would need to pay me £23.98 to go round there. Unless you get a …They would need to pay me £23.98 to go round there. Unless you get a secure parking place ( assuming you go by car ) you would need to organize a set of spare wheels before hand because you would find your motor on bricks when you got back to it. So not posted last week then? remember to use the echo chamber. ( aka the trophy room). And the …remember to use the echo chamber. ( aka the trophy room). And the whispering gallery, (aka the whole stadium). Avoid Thursdays, as this is often match day. Bit harsh. With no fans in the stadium, the tour gives an authentic match day experience at a third of the price. Bit harsh. With no fans in the stadium, the tour gives an authentic match …Bit harsh. With no fans in the stadium, the tour gives an authentic match day experience at a third of the price. "Entry to the Arsenal museum". Is that where Wenger is kept in cold storage and they reanimate him for mach days? When can you go, is there a expiry date? Ok, so we are a bit of a train wreck at the moment but although the trophy room has only a few FA cups we are at least still (just) better than them down the road. They would need to pay me £23.98 to go round there. Unless you get a secure parking place ( assuming you go by car ) you would need to organize a set of spare wheels before hand because you would find your motor on bricks when you got back to it. Isn't that a bit unfair to the bin dippers, surely they steal bricks as well ? Anyone else reminded of the old song ''Bertie Mee said to Bill Shankly.... etc '' ? Can anyone guide me on how I can get Liverpool match day tickets for a bargain? How expensive UK football is. I did the Barcelona tour at half the price of this. If it was Liverpool you would need to order a taxi because the car would be gone not just the wheels.. If it was Liverpool you would need to order a taxi because the car would …If it was Liverpool you would need to order a taxi because the car would be gone not just the wheels.. This was an Arsenal thread last time I checked? Liverpool haven't done anything for more than a decade yet they certainty do occupy a lot of conversation. Voted cold... just because I love you Spurs! 24.99£ now how you can get 19.99 ? Any code ? 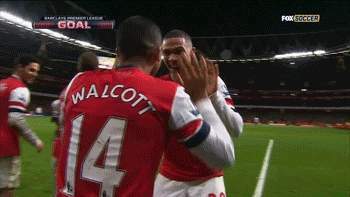 "you'll get a real sense of what the Arsenal stars feel like on match days. Santi Carzorla, Jack Wilshere and many more stars share with you their game day experiences"
You can get Santi and Jack's match day experience for free, just contact your GP for an appointment.